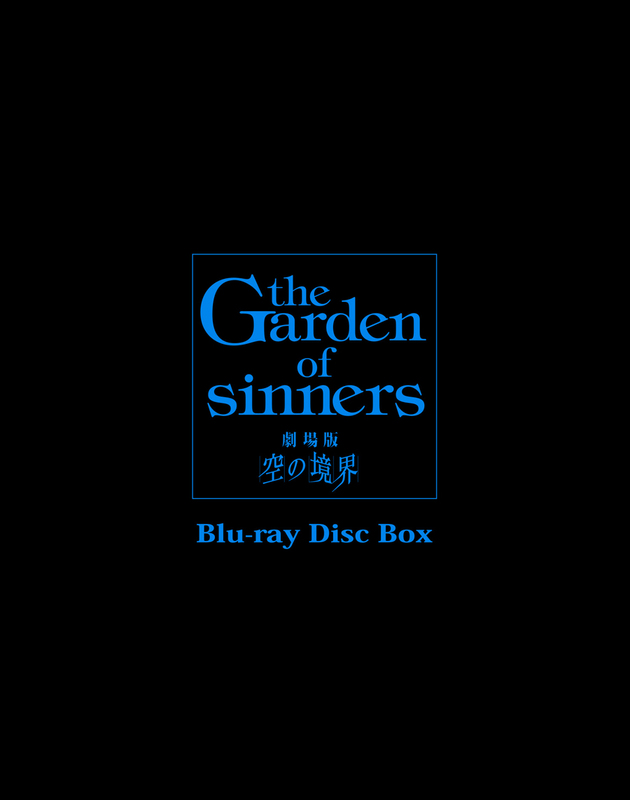 The Garden of Sinners contains movies 1-7 and Bonus: Final Chapter "The Garden of Sinners" all housed in a rigid box illustrated by Takashi Takeuchi along with a Deluxe 32-page Booklet. A total of the seven theatrical features that changed the history of Japanese animation film! Based on the hit cult novel created by TYPE-MOON (Fate/Zero, Fate/stay night [Unlimited Blade Works], Fate/stay night [Heaven’s Feel]), with breathtaking animation produced by ufotable (God Eater, Katsugeki Touken Ranbu)! Don't Miss Out On Owning This Masterpiece! 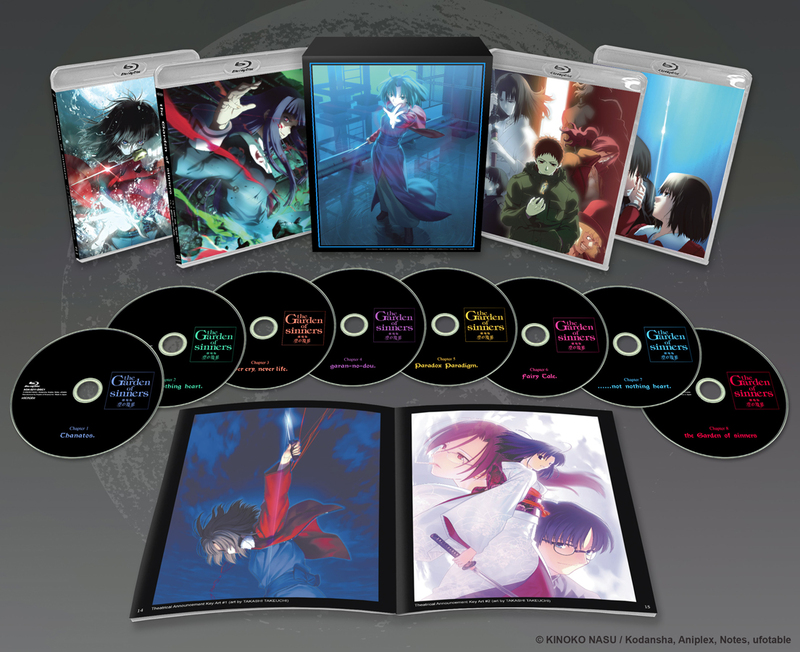 When Type Moon, Ufotable, and composer Yuki Kajiura get together, it's always magical, but 'Kara no Kyoukai'(aka 'The Garden of Sinners') film series is downright EPIC. This film series is easily Ufotable's greatest achievement animation-wise--and Lord knows they've done great stuff since--it has a great storyline, and despite its dark horror/thriller genre, it's also features a great love story: Shiki and Mikiya are one of the best couples in the history of anime. Yuki Kajiura outdid herself here; her best OST, plus she introduced the world to her vocal supergroup Kalafina, too. So if you can handle dark material, this is a Must -Own series! It'd be 5 stars but the price is bad. The series of 8 movies is a masterpiece. I already have a limited edition version of this set but I'd purchase a second copy in an instant if aniplex didnt gouge the prices of their licensed products. If you have 250 to lay down, this is a must have to purchase. An essential for the true otaku. This is not a set or series for the casual, but for the true otaku. Aniplex of America is expensive, but then they also market anime in America more closely to how it's marketed in Japan, and for a seven movie set from them the price is not all that bad. I imported this from another place back when Right-Stuf didn't have it, and it was well worth the price. 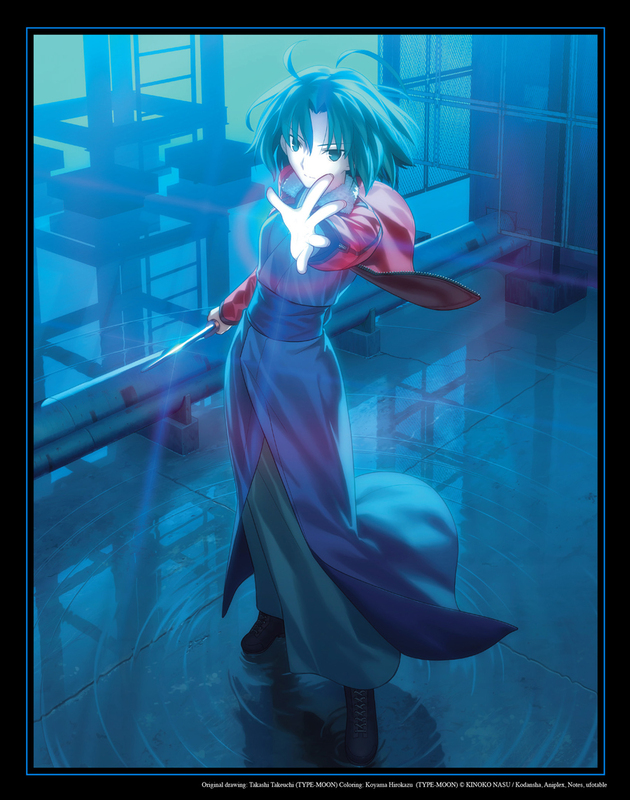 This is (so to speak) the continuation of Kino Nasu's Tsukihime visual novel. For the uninitiated that's the guy who created the Fate franchise. The animation is outstanding. The story is complex and requires true attention to follow it clearly. The box is very nice. If you're looking to step up from the casual shonen anime of your youth and take a bite of real fandom, then Garden of Sinners is a good first choice.